Lynsey and Stephen get married today, and Lynn and Phil get married at St Andrew's, Ardrossan on Sunday afternoon. 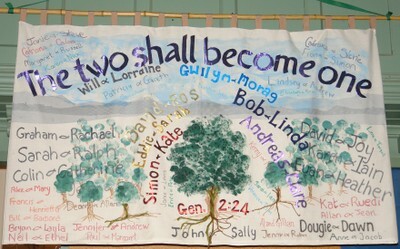 Love the banner with all the names: what a great idea - but it looks like you're running out of space. Time to sew on an extension, or ask for a second banner?